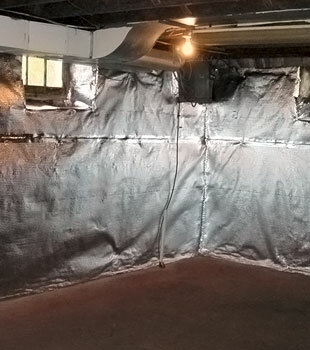 The ThermalDry® Basement Wall System prepares your foundation walls for the placement of paneling and studs. 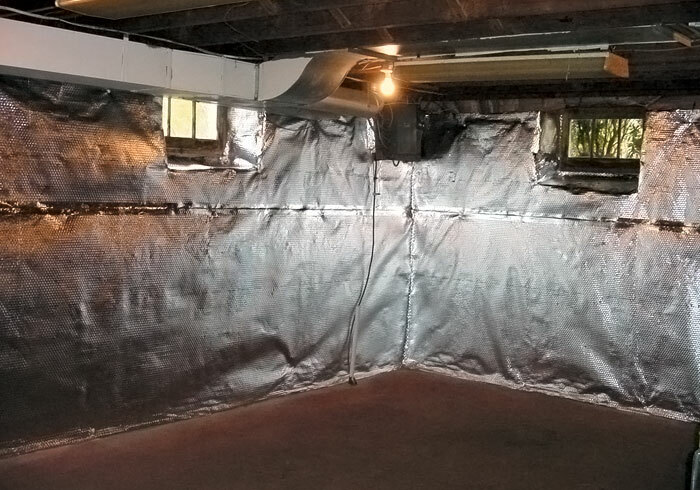 Once installed, your basement will be protected from water and moisture, while also sporting a radiant heat barrier for added energy efficiency. If your basement has walls that are damp or leaking, or there is water entering through cracks or pipe penetrations, this is a great product for you. 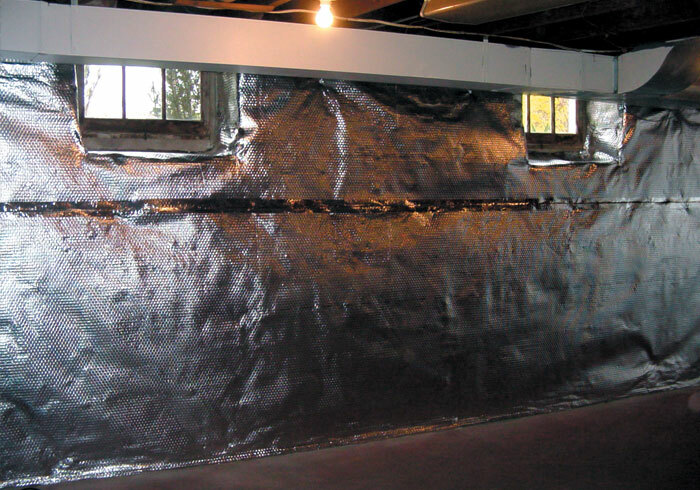 ThermalDry® Wall can be integrated with our basement drains to direct water from the walls to your sump pump. ThermalDry® Wall can be used on any wall type -- whether it's made of stone, concrete, brick, or concrete blocks. It can also be installed on wavy, uneven basement walls. A complete installation of this wall system can usually be completed in less than two days. The finished installation includes a written warranty. 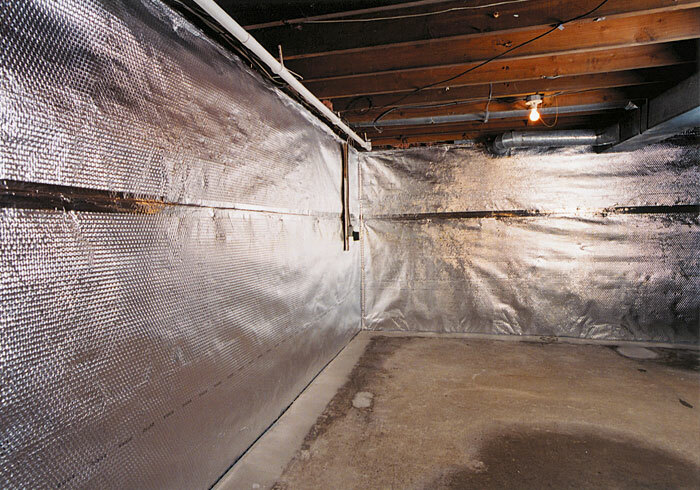 Basement walls are cold, damp surfaces that transfer moisture from the soil into your home continuously. Even when the wall surface appears dry, this is true. If you install insulation and wall paneling without addressing this moisture, it can be trapped behind the walls, leading to mold, rot, and musty odors. ThermalDry® Wall does double duty on your basement walls -- addressing moisture while also upgrading the basement's energy efficiency. Our ThermalDry® subfloor tiles are a great accompaniment to the ThermalDry® Wall System. 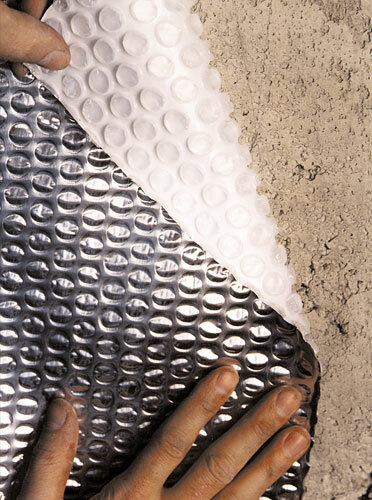 These tiles will create a warmer basement floor, while also holding back moisture from the floor. 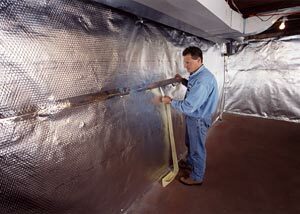 We also have several products that will insulate your basement walls, add studs for wall paneling, or simply upgrade an unfinished portion of the basement. Whether you're planning on finishing your basement walls, or you're just interested in saving money and keeping your basement dry, ThermalDry® Wall is an excellent choice for you. At Basement Systems, we have more than 30 award-winning, Patented, Warrantied Products that can help you transform a damp basement into dry, usable space that's ready for finishing. Among these are six different wall products, and nine different options for basement floor finishing. To learn more about what our experts can do for you, contact us by phone or e-mail today! Each authorized Basement Systems Dealer provides free, no-obligation basement upgrade quotes, which are customized to fit your specific needs. We operate worldwide! Our dealers proudly serve throughout Canada, the United States, and the United Kingdom -- including in your neighborhood!